The Rocky Mountain IPv6 Summit gives attendees IPv6 training on how to transition to the new protocol. Learn where to find IPv6 classes and other conferences in 2011. The Rocky Mountain IPv6 Summit gives attendees IPv6 training and teaches enterprises and providers how to successfully facilitate an IPv6 migration. The summit occurs April 25-27 at the Grand Hyatt in downtown Denver. SearchEnterpriseWAN.com spoke with Scott Hogg, the chair of the Rocky Mountain IPv6 Task Force, about what to expect from the conference, where you can learn more information on IPv6 and where to find similar conferences across North America for 2011. 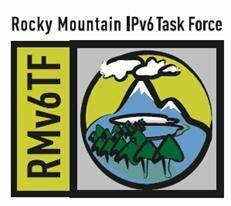 What is the Rocky Mountain IPv6 Task Force (RMv6TF), and what is its purpose? Scott Hogg: RMv6TF is a regional chapter of the North American IPv6 Task Force (NAv6TF) in the global IPv6 forum. We're a nonprofit, tax-exempt organization based in Denver. We're really trying to cover the Rocky Mountain / Middle Western part of the United States and coordinate IPv6 activities here. Learn about IPv6 and share what we've learned with the community. Do research and development projects and share our knowledge with others. Put on local events to get people together to collaborate and share their knowledge, best practices and ideas about the protocol. What type of information does the Rocky Mountain IPv6 Summit provide attendees? leaders in the [IPv6] industry. leaders in the IPv6 development world. people who have helped champion IPv6 and implement it within their organization. people who have done interesting and unique projects related to IPv6. For the past three years … [the RMv6TF has] put on a conference that's attracted a sizeable number of people. It's become the largest IPv6 conference in North America. This year we're expecting over 300 attendees. This is our fourth year to have the event and each year it gets bigger and bigger. We have a couple different tracks this year: We have a track for enterprise organizations and a track for service providers. ... [This way] they can get specific information that's tailored to their needs. Learn about the current state of IPv6 adoption. Learn from people who are actively working with IPv6 and sharing their knowledge with those who maybe know a little less. Foster collaboration between people who are actively working with IPv6 to create a community of people to share what they know with each other. Attendees who don't know a lot about IPv6 can quickly come up to speed. [They] will learn about the current state and leading edge of IPv6, and what that means, and what they can do, practically, inside their own organizations to make the transition happen. What do you think will be the most attended or hottest session this year? Hogg: The very first day … [of the 2011 Rocky Mountain IPv6 Summit] is a hands-on training class. That is now full. We had to stop registration for that event, but you can still register for the regular conference and get lots of knowledge. We had to limit … [the IPv6 class] because we could not accommodate more than 40 people due to the type of hands-on training we are giving and the size of the room. If we allowed a lot more people to attend, the learning experience wouldn't be as high as it could be…. We'll look at offering similar sessions like that in the future. What makes the IPv6 class hands-on? Do you know any other organizations in the U.S. that are doing the type of IPv6 training you just described? Hogg: There are training companies that offer similar weeklong formal IPv6 training classes of the same nature, where students can get hands-on experience. But ours is a low-cost one, and it's only one day. It's fairly accelerated, so there's no time wasted. It's going to be a really fast-paced, intense session to really jump-start people. Outside of the IPv6 classes you mentioned, where else can people go for additional IPv6 training? Hogg: Cisco offers a class through their Learning Partners [called IPv6 Fundamentals] that's a weeklong class. That class is Cisco-specific, but IPv6 isn't just a Cisco router problem. People need to learn about DNS, firewalls, operating systems and how those operating systems interact with DNS systems, and how applications work on a network that may be running v4, v4 and v6, or v6 only. They need to get that kind of experience with the other systems that work and leverage the network besides just the routers. There are a variety of companies that also offer other hands-on training, too. One that comes to mind is Command Information. They're a company that offers hands-on IPv6 learning to companies—but those are multiday classes. There are also books people can read. I wrote a book on IPv6 security that came out a couple years ago. I wrote it with Eric Vyncke from Cisco. There's also a new book from Cisco Press about IPv6 in enterprise networks, and it's written by a friend of mine, Shannon McFarland. Read IPv6 Essentials by Silvia Hagen. Understand IPv6 basics for A+ Exam-level learners. Get IPv6 explained in this brief overview. View our IPv6 tutorial for comprehensive IPv6 learning. See these introductory IPv6 book and website recommendations. Other people tend to look for resources on the Internet. … If people just spend a little bit of time using their favorite search engine to go and read articles about IPv6, there's been much written about the protocol and lots of examples and guides out there. So you can find quite a bit online about IPv6. That's a really low-cost way to learn about it. You can also go the Rocky Mountain IPv6 Task Force website and look at presentations from the previous year's conferences; those are free for download. There are lots of other IPv6 conferences that make their presentations free for download [as well]. Those are good sources for learning about v6. What other IPv6 conferences can folks attend in 2011? Light Reading is putting on an IPv6 conference July 14, in New York [City]. The California IPv6 Task Force … [is organizing] an event. The Texas IPv6 Task Force will also be putting on an IPv6 Summit event in Houston, Texas, on Sept. 13 and 14. They'll similarly have really good speakers on IPv6 and very knowledgeable people. Their event is usually free to attend, so that should attract a large number of people. [The regional chapters of the NAv6TF] try to have events that are spread out geographically throughout North America at different times of the year that can cover the United States and outlying areas. We coordinate our conferences, collaborate with each other and share knowledge between conferences, and cross-promote our conferences. Even though we're loosely affiliated, we still share what we know with each other.